Concert photography is tough. Changing lights and fast movement means exposure problems and difficulties in focusing. There are some things that can be done to minimize the problems and one of those is shooting the same band more than once. 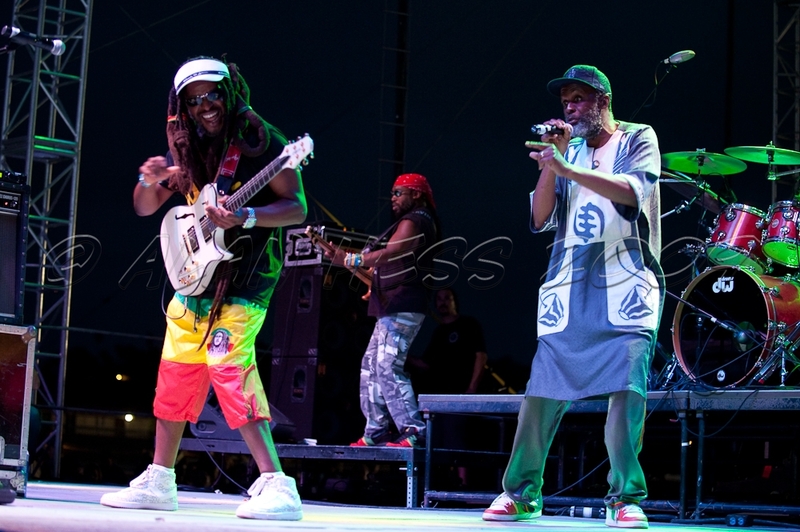 I have been lucky enough to shoot Steel Pulse on three previous occasions and it was that shooting history that allowed me to capture some of the images that I did. I know where the band members stand, and where they will move. This allowed me to make sure I was in position to get the best shot possible. I know that David will point with his left and look towards his right when he has the guitar on so I positioned myself to get the shot. 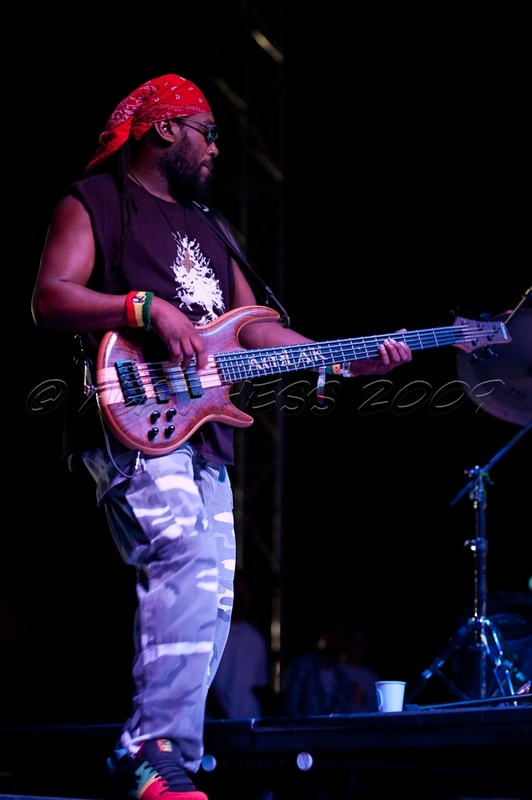 One of the most entertaining bass players I have ever shot, Amlak Tafari is easier to shoot from the far corner of the photo pit. Hanging out in the middle of the pit and you miss his antics in the back corner. 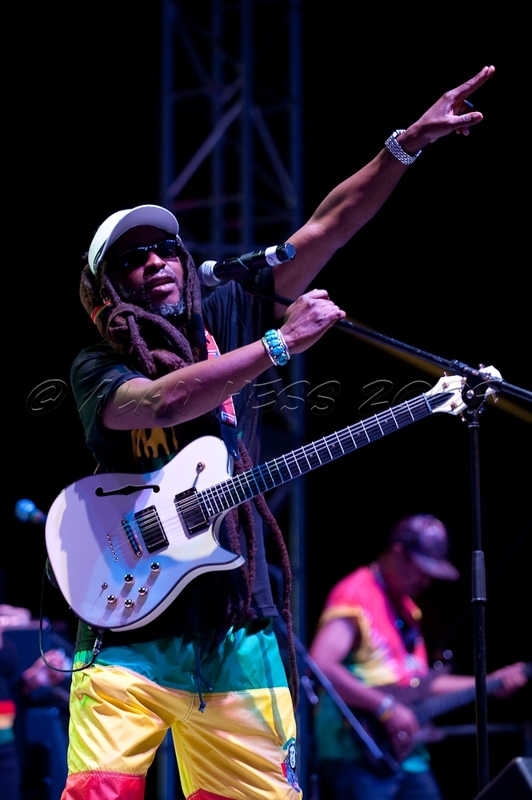 A shot with both David Hinds and Selwyn Brown in the same shot was a goal of mine before the show and this time i was ready for when Selwyn came out from behind his keyboards to share the lead vocals with David. Knowing what is going to happen before it does really helps when shooting concerts. Once way to do this even if you have never seen the performers before is to look up the performers on flickr and youtube. Study the stage layouts and who is positioned where. Look for the microphone stands, amps, and other stage gear that you don’t want to end up in your mages. Great pictures!!!! I try to stick to shooting the music that I like to listen too. While no show is the same I kinda have the general idea of what they might do! Keep rocking the great pictures!! !